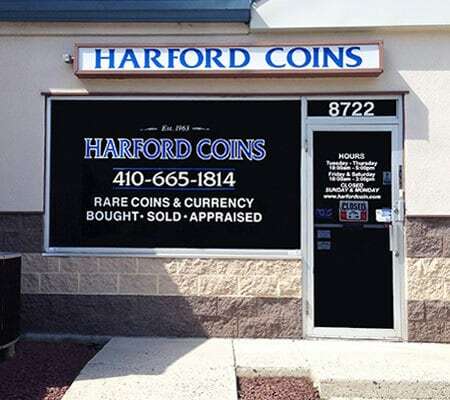 Harford Coin is Baltimore’s longest-established and leading coin business: after 50+ years in business, you know we’re here for the long run. We bring decades of knowledge, experience, integrity and expertise to the buying & selling of collectible coins, currency, tokens, and medals. We are always interested in buying – individual coins or entire collections! Very competitive prices paid for quality coins and currency!